The 2019 Dakar Rally is underway! 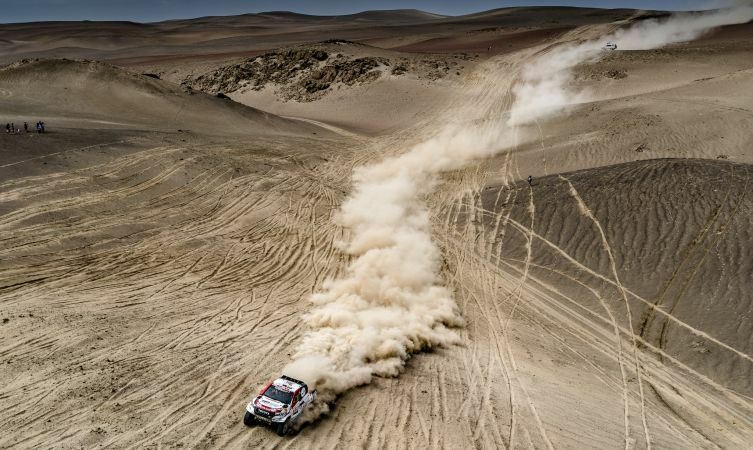 The 5,000km raid began in Lima on 6 January and will take in an enormous, ten-stage loop through southern Peru before returning to the capital on 17 January. 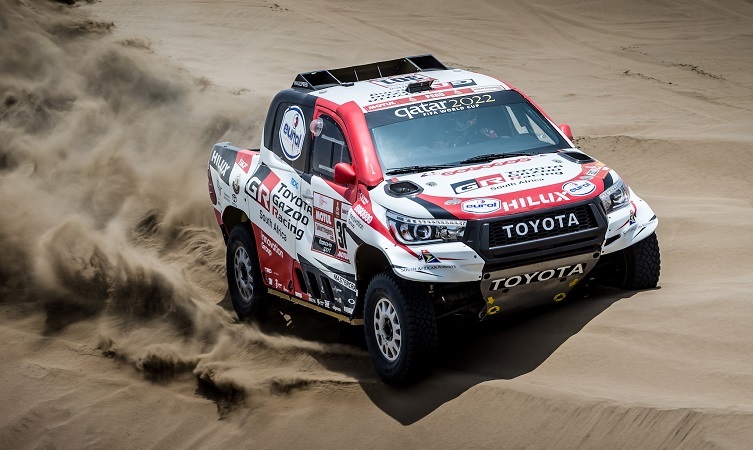 Crews from 54 nations are represented in this epic battle, but our focus is on the Toyota Gazoo Racing (TGR) team and its trio of mighty Hilux specials. 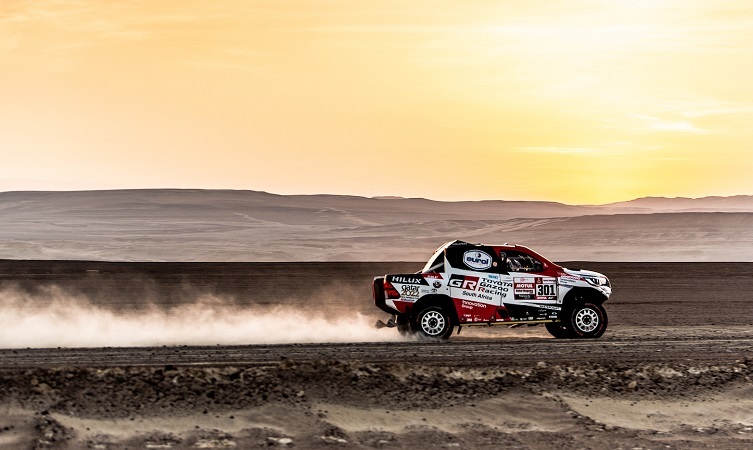 This year marks the eighth successive campaign for Toyota’s specialist Dakar unit in South Africa. And we’ll be following them all the way with three bitesize reviews. This opening report covers the preparation and first three stages. The second will cover stages four through six, while the third report will review the last four stages and the final results table. After arriving in the Peruvian capital of Lima, the TGR team quickly reassembled the three Hilux race vehicles. In addition, the support trucks were prepared, and the thousands of spares and pieces of equipment required to take on the world’s toughest automotive race were packed. All three crews finalised their suspension set-ups in the big dunes near Lima. However, rigorous technical checks were required before any of them could start the race. This entailed administrative checks for all team members, as well as scrutineering to ensure each Hilux conforms to the latest regulations. 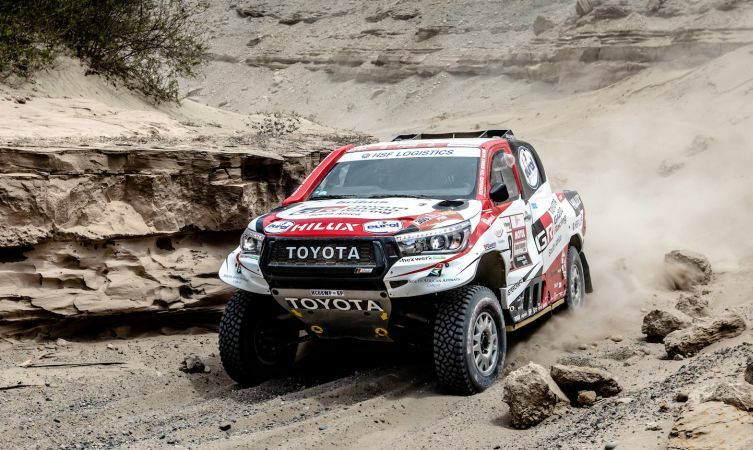 TGR’s three-Hilux team made a fantastic start to the 2019 Dakar Rally. 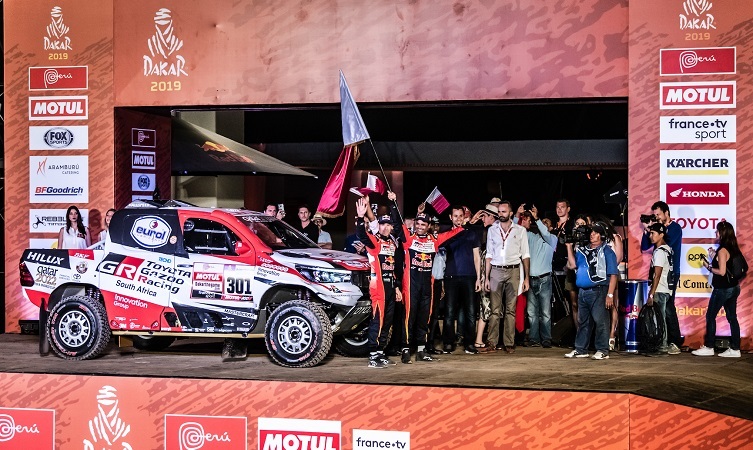 Although beginning behind last year’s champion, Carlos Sainz, former race winners Nasser Al Attiyah and navigator Mathieu Baumel set the pace for Toyota. They quickly eclipsed the Spaniard’s MINI across the dunes and took the opening stage by a margin of almost two minutes. All three crews reported flawless performances by the Toyota Hilux and were extremely positive about the suspension set-up. That said, the team completed a final test on De Villiers’s car during the stage and aimed to apply the results for the rest of the race. Stage 2 brought major excitement thanks to a ding-dong battle among the leaders. Although Sebastien Loeb posted the fastest time, the biggest gains were made by TGR drivers. Ten Brinke and Panseri started the day in eighth and completed the stage with surgical precision, bringing home the #309 Hilux just 80 seconds behind the leader, thereby moving into second position in the overall standings. Meanwhile, De Villiers and Von Zitzewitz found themselves in the overall lead after posting the fourth fastest time. Opening the road for everybody else proved to be tricky for yesterday’s winners, Al Attiyah and Baumel in the #301 Hilux. The pair was happy to restrict time loss to 7m 37s in order to create an ideal position from which to attack tomorrow. The Dakar Rally is renowned for its unpredictability, and Stage 3 delivered its fair share. On the positive side, TGR’s Al Attiyah and Baumel drove a near-perfect stage to post the second-fastest time of the day and take the overall lead. 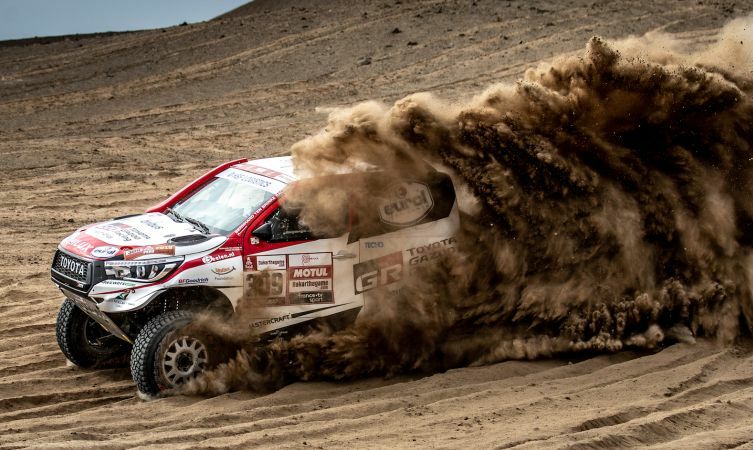 It was a stunning performance by the Qatari master, and clearly showed the power of the Hilux in the thick Peruvian sand. That experience was echoed by De Villiers and Von Zitzewitz. The pair set good times early in the stage but disaster struck after 172km when they hit a rock hidden in the loose sand. The impact destroyed the sump guard and cracked the sump. All oil pressure was lost and they were forced to stop in order to save the engine. The result was a time loss of four-and-a-half hours – bitterly disappointing for the duo given their strong start during the opening stages. Ten Brinke and Panseri took to the stage as the third car. Running so close to the front made navigation tricky, which cost some time as they got stuck in the same ditch that cost Carlos Sainz three hours. Despite this, they had a clean run and set the seventh fastest time, netting them seventh in the overall standings. Look out for our second Dakar Rally report next week, which will cover stages four through six.